My last post was about tailgating on The Grove at Ole Miss, with my family all dressed in red and blue (saying Hotty Toddy). My oldest is a sophomore there, so we are into that SEC school for a reason. 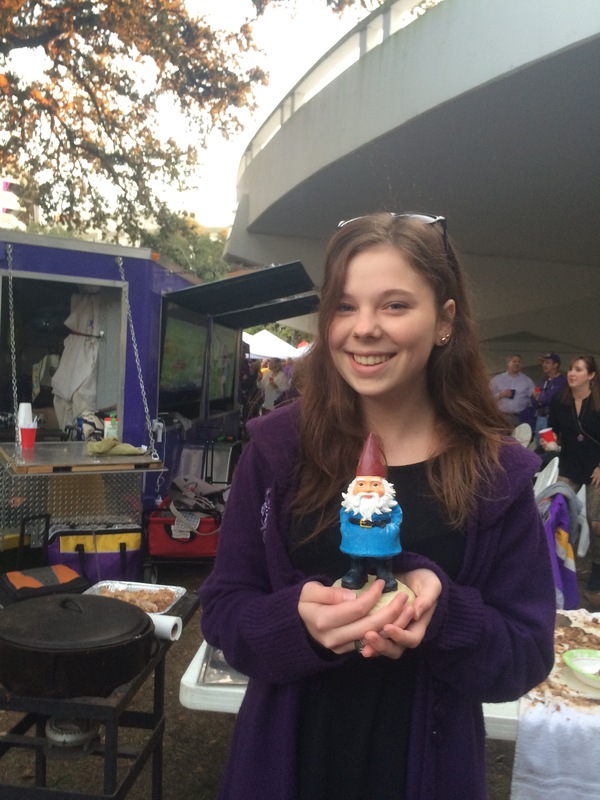 But last Saturday, I was decked out in a purple shirt, for LSU tailgating with our friends. 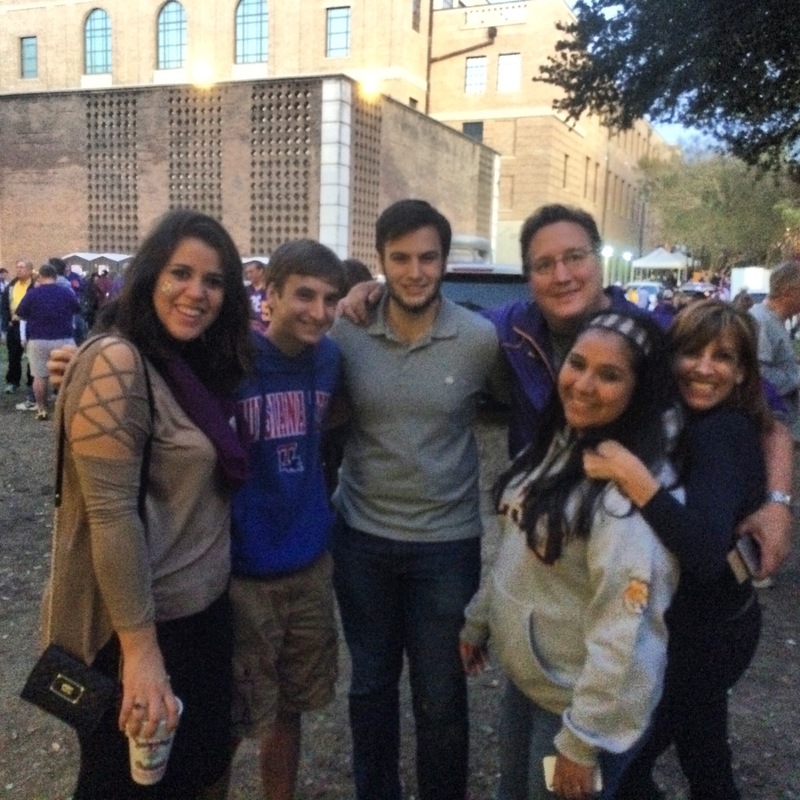 With nieces at A &M, a nephew at S Carolina and having attended UF – we are going for an SEC lovefest in our family! 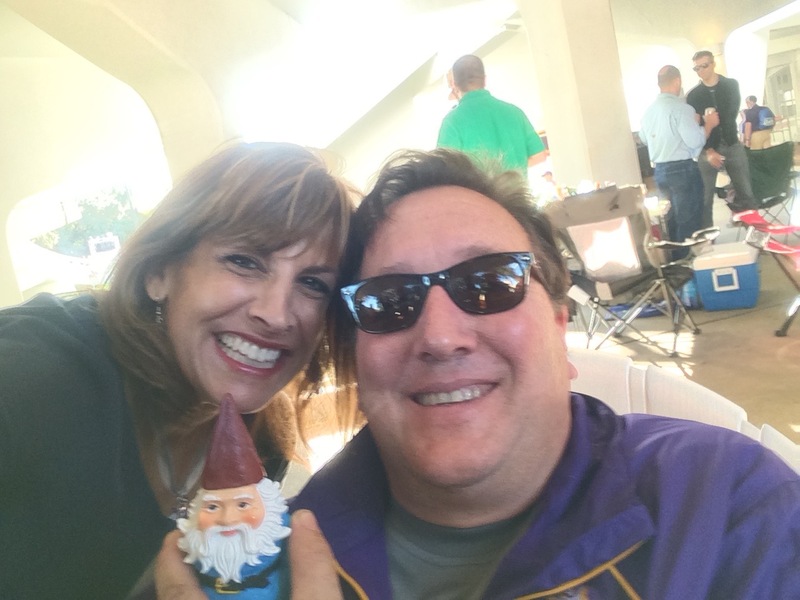 You could say I don’t truly don’t bleed any colors, with exception purple green and gold (for Mardi Gras:) There is no way you could not love football season in the SEC – so exciting and a time to get together with friends, old and new! 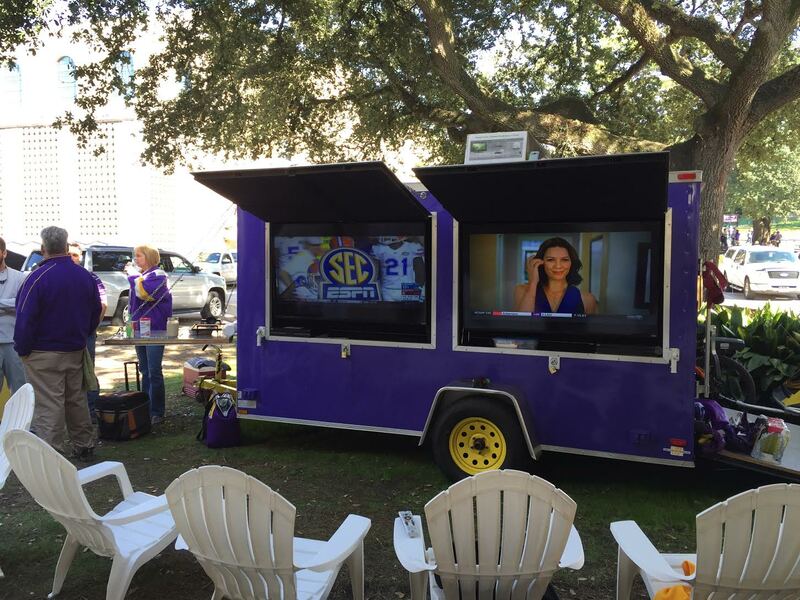 Our friends have the ultimate LSU tailgate trailer, decked out with 2 TVs, a Snoball machine and anything else you could want. With all that available, heading to the game for me, almost seems like a waste of a ticket (though it is a blast).